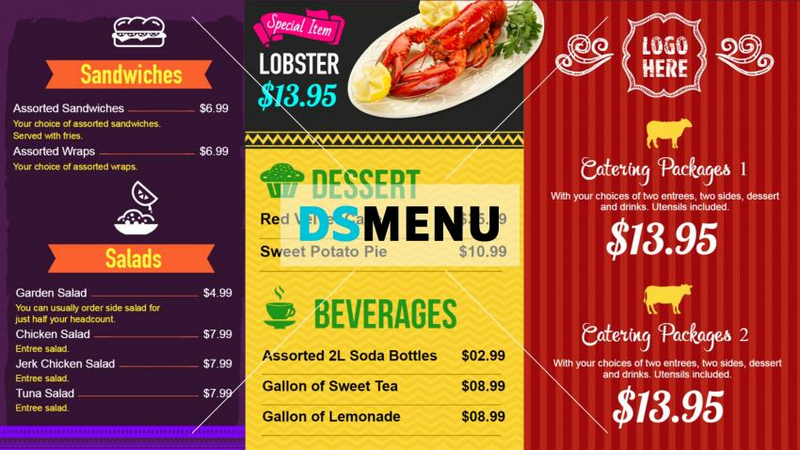 Very modern multi color offer menu board showing catering menu with a bold background image. Each rectangle color box on the menu board shows a different menu, description, image and price. The menu board is ready for edit and download.